It is with profound sadness that we announce the passing of Judy Pearson in Calgary on Sunday, July 23, 2017. She was supported and surrounded by her close family and friends through a 13 year battle with cancer. Judy leaves behind her loving husband and best friend Tim; son Sean (Karen), and their child Payton; loving daughters Jody (Mark), and their children Cameron and Allison, Jackie and Jessica (Jay); her constant companion T2; siblings Gail, Benny (Gabe), Pat (Tom), Bernie (Sharon), Bill (Julie), Susan (Mark), Sandy (Darrel), Cindy (Brad); and numerous nieces, nephews and friends in Alberta and Ontario. 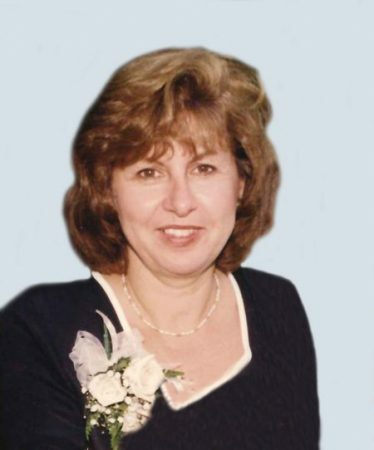 Judy was an elementary school teacher in LaSalle, Ontario who touched the lives of many with her incredible personality and unforgettable smile. The family would like to thank the amazing doctors, nurses and staff at the Tom Baker Cancer Clinic and Dulcina Hospice for their compassion and love during Judy’s time there. A Celebration of Judy’s life will be held at the Cochrane Lions Event Center (the lounge of the old Cochrane Curling Club, 109 – 5 Avenue, Cochrane) on Saturday, August 12, 2017 at 11:00 am. In lieu of flowers, the family asks that donations be made to the Tom Baker Cancer Center (Alberta Cancer Foundation, albertacancer.ca/donate/cancer-centres) or the Canadian Cancer Society (www.cancer.ca). It is in times like this where the distances between friends seem farthest. I would like to express my condolences to Judys entire family. Judy was a great lady with a beautiful heart. She will be missed by all those whose lives she touched. Our sincere condolences to you Tim as well as all the family. Judy was indeed a very special person. We will miss her. Our thoughts and prayers are with you Tim during this difficult time. In the short time that we got to know Judy, it was easy to see what a remarkable person she was. Her strength, smile and optimism were infectious. Our condolences to you, T2 and the entire family. We wish we could be there with you during this time. With loving and caring thoughts to you Tim, Sean, Jackie, Jody, Jessica, Sue and all of Judy’s family during this time of great sadness. It is times like this I wish we all lived closer. Our memory of Judy will live on as a courageous wonderful lady with a bright smile and a friendly warm personality. She will be sadly missed by all of us in my family and so many others. Our condolences and prayers to Tim and family as Judy will be deeply missed. Very sorry for your loss, condolences and our prayers will be for Judy, Tim and the family. Tim, our thoughts and prayers are with you during this difficult time. We both feel very blessed to have known Judy and will truly miss her. We wish there weren’t so many miles between us, but know, we are there in spirit. To Tim and Family, It is with great sadness that we learn of your Loss of a loved one. A time of grief and Sorrow for you and all that loved her. we send our prayer the time will replace the grief and sorrow with loving and warm memories that will last a life time. Sean,Tim & Family, Sorry for your loss, our deepest condolences to you and your family. Judy was my teaching partner when I was an ECE. She inspired me to become the teacher I am today. I am sadden to hear of her passing. So sorry to hear of your loss Tim and Sean. My heart feels heavy that such a wonderful person has left our world. I am today what she inspired me to do. Sean, sorry to hear of the passing of your Mom. Our sincere condolences to you and your family at this difficult time. 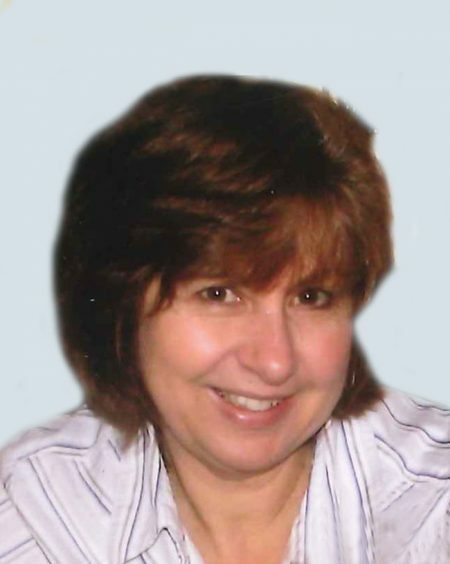 The Rivett family is saddened to learn of Judy’s passing….our heartfelt condolences to Tim, Sean and family for the loss of a wonderful neighbour on Laurier and then again on Bagley in LaSalle. Good memories of a very lovely person. Her smile and laughter were infectious…. your strength will carry you thru this difficult time. Our prayer are with you Tim. I remember Judy’s laugh and her smile. She was a wonderful, kind person who left us too soon. Her students were so fortunate to have a teacher who added laughter along with rigorous study. Judy touched many lives. Rest in Eternal Paradise Mama Parental……. Tim, Judy was a wonderful and special lady. What a joy to talk with her. She has great wisdom and compassion. My best wishes for your journey through grief. Judy was a true gem and it was reflected in her contagious smile. Tim you are in my thoughts and prayers at this very difficult time. She will be missed. Judy was a true gem and it was reflected in her contagious smile. Tim you are in my thoughts and prayers at this very difficult time. She will be greatly missed. My thoughts are with you during this difficult time. Sean, The posting that was shared on the Colonel Bishop Alumni page was very touching. Sending condolences to each and every family member on the passing of Judy. Judy was a teacher at Colonel Bishop and befriended me right from the start to help out in her class as a senior student. After she had Sean, she let me babysit him until I went off to university. After that, she became a nice friend and I enjoyed our cross border shopping and the time she stayed at my place in Toronto. The passage from teacher to friend came so easily. I know she is adored by many and will remain in the hearts of many, including me. My thoughts to all!! I am so very sad to hear of the passing of Mrs Pearson. She was my grade three teacher at Colonel Bishop Public School. I feel very lucky and blessed to have had her for a teacher. It was her dedication to ensuring an excellent education for her students that lead her to advocate for me to be assessed for dyslexia. I am forever grateful to her, and will fondly remember her as a beautiful, engaging, and fun teacher. I will keep your family in my thoughts and prayers. We both feel the sadness and loss of Judy’s life. She was so kind and loving to all those she was with. She fought long and hard through these years, but she always smiled and made others feel at ease in herr presence. We will miss her and we mourn with you at your great loss. She will be remembered with love. © 2015 a division of Cochrane Funeral Services Inc.